Happy New Year! I hope everyone had an enjoyable holiday season full of family, food, and fun! Now that we're back at it, I thought it would be a good idea to spend some time discussing social media. It seems to be at the front of all small marketers minds as an opportunity, but very few small businesses are comfortable with how to make it work. 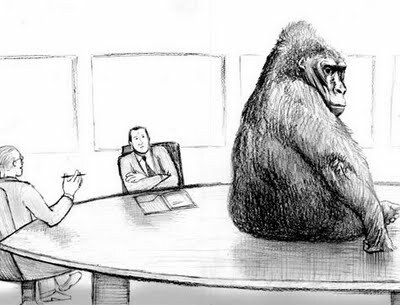 If we're going to talk about social media for small businesses, we need to start with the 800 pound gorilla in the room... Facebook! 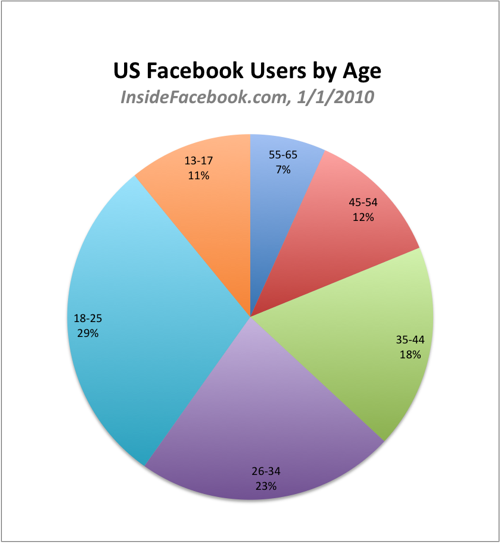 Facebook is quickly approaching 600 MILLION users with an enormous demographic range. Roughly 1300 people had the opportunity to see that someone now likes your facebook page. Any time one of those 10 fans comments on, or "Likes" something you post to facebook, their friends all see that as well. Roughly 1300 people are reminded of your brand, and are likely similar in interests to one of your new followers, thus increasing the chances they will also be a follower. Social media is viral. The above is just one example of how. between 26 and 54 years old - then there are potentially 291.5 million people that could be customers. Any way you dice it, the volume is there to justify marketing. It's obvious at this point that the social media bonanza is not coming to an end anytime soon. With the data we've shared on this blog in the past, and the highlights above, you can't deny that you should be there if you aren't already. As noted in the headline, this is part 1 of a batch of posts that I will release today and in the future on using Facebook for your small business. In part 2, I will delve into the basics of what you need to get a page setup for your business.